Our FutureTDM Symposium will be held at the International Data Science Conference 2017, in Salzburg Austria. With EU copyright reform now in progress, we bring together policy makers and stakeholder groups so that we can share FutureTDM’s findings and our first expert driven policy recommendations and practitioner gidelines that can help increase EU TDM. We will introduce FutureTDM’s overarching policy recommendations and sector specific guidelines to help stakeholders overcome the barriers we’ve identified. We hope to hear about TDM experiences on the ground at the IDSC 2017. We will also reveal more about the project’s tools and services, practical tutorials, demos, online help and how to guides to increase TDM uptake. FutureTDM Project will be at ELPUB this June! Looking forward to have great discussions with participants on publishing and science. FutureTDM Project was at the Creative Commons Summit this April! Read about the event and FutureTDM session here. FutureTDM Project will be at LT-Accelerate this November! The conference is this year in its third edition. It is a joint production of LT-Innovate — the association of the language technology industry — and U.S. consultancy Alta Plana Corporation, headed by industry analyst Seth Grimes. LIBER (the Association of European Research Libraries) is the main network for research libraries in Europe. The association, founded in 1971, includes more than 400 national, university and other libraries from over 40 countries. 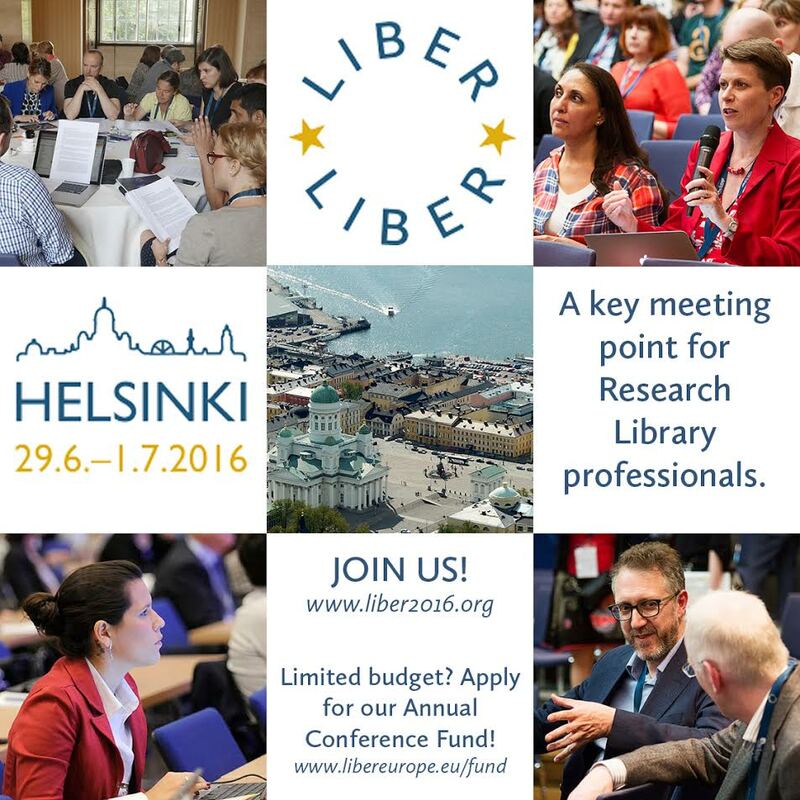 LIBER’s Annual Conference is one of the most important gatherings for research library professionals. During the event, participants can build networks and share information and ideas with one another. The theme of this year’s conference, held in Helsinki, is Libraries: Opening Paths to Knowledge, so it seems very fitting that there will be a joint FutureTDM/OpenMinTeD knowledge café workshop here. Those registered to attend LIBER Conference are welcome to participate. FutureTDM Knowledge Cafe in Germany will take place on the 6th of June during Buzzwords 2016 in Berlin. Berlin Buzzwords is Germany’s most exciting conference on storing, processing and searchability of large amounts of digital data. It focuses on open source software projects. 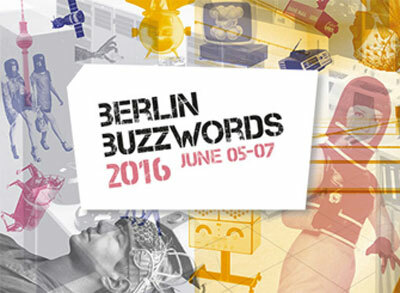 The 7th edition of Berlin Buzzwords will be held on June 05-07, 2016 at Kulturbrauerei. FutureTDM Knowledge Cafe in Slovenia will take place on the 24th of May during the LREC conference in Portorož. The International Conference on Language Resources and Evaluation is organized by ELRA biennially with the support of institutions and organizations involved in HLT. Competitive Advantage in the Digital Economy Vacation School will take place in Venice from April 28 to April 30, 2016. 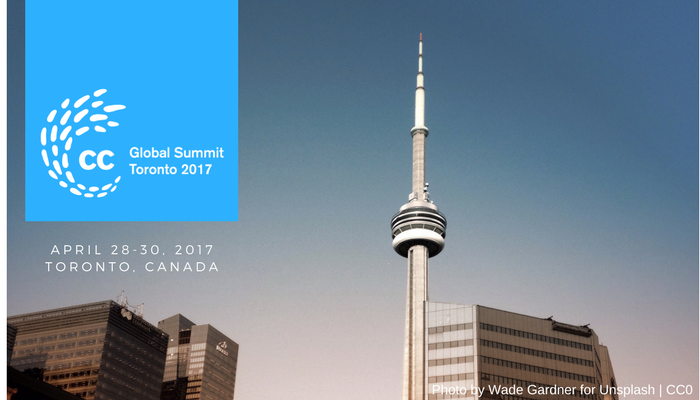 Leading researchers and practitioners will discuss issues related to new markets, currencies and big data in the digital economy. FutureTDM will hold a workshop at this event in Venice, to discuss TDM together with the participants of the Centre for Competitive Advantage in the Global Economy (CAGE). The first edition of the IoTBD Conference (International Conference on Internet of Things and Big Data) organized by INSTICC (Institute for Systems and Technologies of Information, Control and Communication) will take place from the 23th to the 25th April 2016 in Rome, Italy. FutureTDM will hold a presentation on IoTBD 2016. At this event, participants will have the opportunity to provide input on TDM barriers in relation to Economy and Incentives, Technical and Infrastructure, Content and Legal, Education and Skills. Applications will be moderated due to limited space and aim. We will confirm your place by 6th April and as soon as possible for applications received after that date. At this Presidency conference, Member States and stakeholders can emphasise the importance of this transition. The invitees will include politicians and officials, and stakeholders from Europe, such as researchers, publishers, representatives of universities and research organisations, and organisations and companies that support research. In addition, there will be an explicit focus on new users of scientific information. As part of the conference, FutureTDM will be one of four EU projects taking part in a series of ‘Open Science Cafes’. Participants will be given an informal setting to talk and share their ideas on text and data mining and discuss pertinent issues. A highly popular conference, registration is now full but we will be reporting back from the event on our twitter feed and blog page. Content mining techniques lie at the heart of data-driven research and innovation. Yet, as identified by the European Commission, the practice is currently underused by EU researchers. During this Knowledge Cafe, which is a collaboration between FutureTDM and the Leiden Centre of Data Science, we want to hear from those working in the field to explore why. 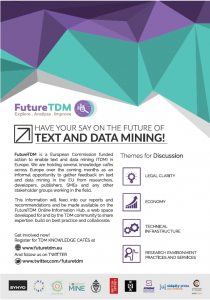 FutureTDM is a European Commission funded project to identify current barriers to text and data mining (TDM) in Europe and produce solid European-wide recommendations that address and reduce these barriers on a legal, policy and organisational level. The Knowledge Cafes represent an informal opportunity gather feedback on EU text and data mining in consultation with researchers, developers, publishers, SMEs and many other stakeholder groups working in the field. We will have a short round up of findings before a drinks reception where participants get the chance to talk further with each other. Stakeholder input will be under Chatham House Rules, so noted on an anonymous basis or with attribution by permission. Information gathered in the meetings will feed into our project recommendations, website and ultimately into the project’s Online Information Hub which will be launched towards the end of the year. This will also be useful in the wider context of TDM policy in the EU, where legislation is soon to be proposed. 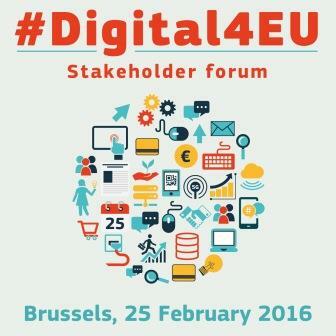 The Digital4EU Stakeholder Forum will take place in Brussels on Thursday 25 February 2016. This one-day event, organised by the European Commission, will be centred around the progress made in creating a Digital Single Market in Europe. FutureTDM will have a stand at the event so that we can talk to the attendees and hear their experiences of TDM and potential barriers to uptake. Hope to see you there! What good can come from freeing up access to heritage data? The exciting thing is, we don’t even know the half of it! Text and data mining (TDM) is the process of deriving new information from vast quantities of machine readable materials (facts, data and ideas). TDM technology can trawl this existing data to finding new patterns, new correlations, new insights into information we already have but just aren’t humanly able to consume in the same space of time. It could help to solve some of society’s grand challenges and has the potential for huge returns, with estimates that it could add more than €5.3billion to the EU research budget. So why aren’t we doing more of it? In Europe, TDM is far less prevalent than in other regions, notably the US and Asia. Because of this, the European Commission is currently funding two projects to look into removing barriers to TDM. OpenMinTed and FutureTDM will run for two years. The projects focus strongly on better access to TDM and hearing from stakeholders. Do you want to know about TDM and how it can facilitate new discoveries? Have you reservations about the technology? Are you interested in finding out more about stakeholder engagement? Come along to hear about TDM, its application in the heritage sector (case study by Steven Claeyssens, Koninklijke Bibliotheek) and take part in the interactive workshop. Your opinions matter to these projects and your feedback will be absorbed! FutureTDM continuously searches for new perspectives and knowledge on text and data mining in Europe. 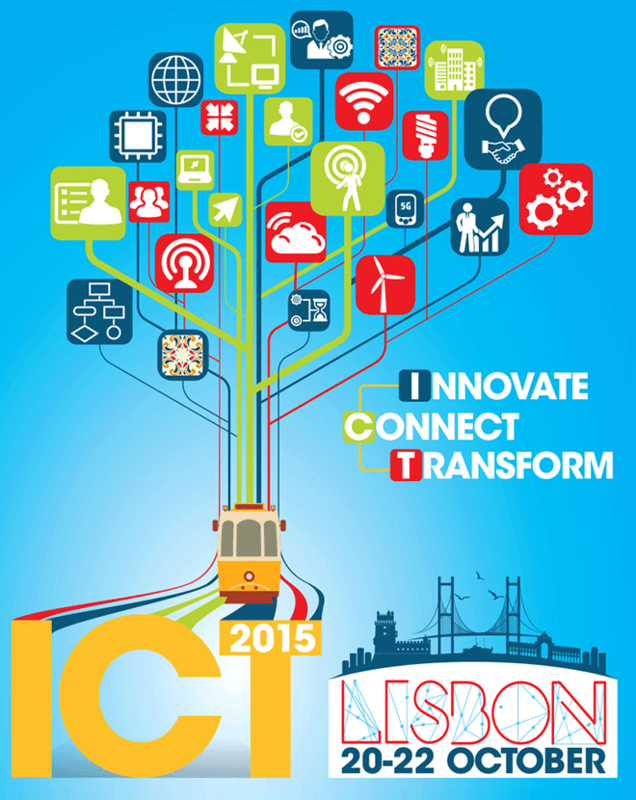 In this sense we are presenting it at the ICT 2015 event in Lisbon, during a networking session focused on “Shaping the future of text and data mining in Europe”. The ICT 2015 comprises a range of activities such as a policy conference, an interactive exhibition, networking opportunities, H2020 thematic sessions and Startup European Forum offering activities for innovative startups. The event brings together experts, researchers and policy makers in the field of research and innovation in ICT.